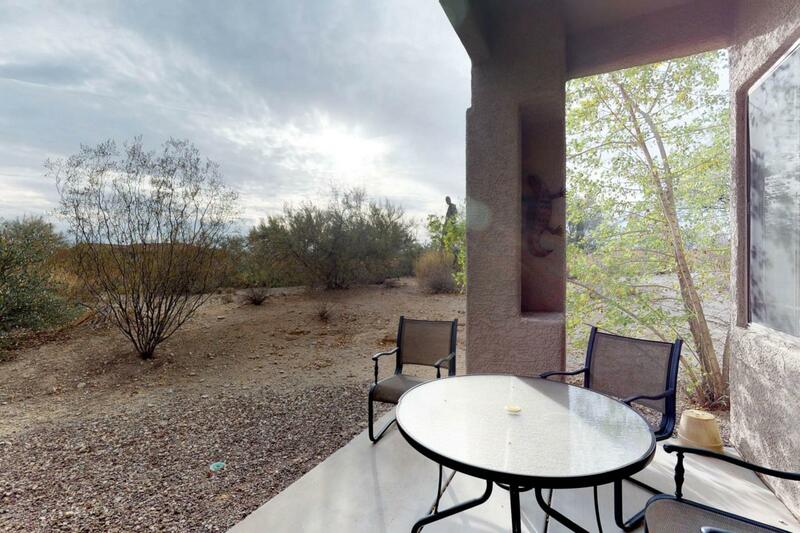 TWO Bedroom TWO Bath floor plan with large private patio that backs up to open desert and new HVAC system just installed last summer! 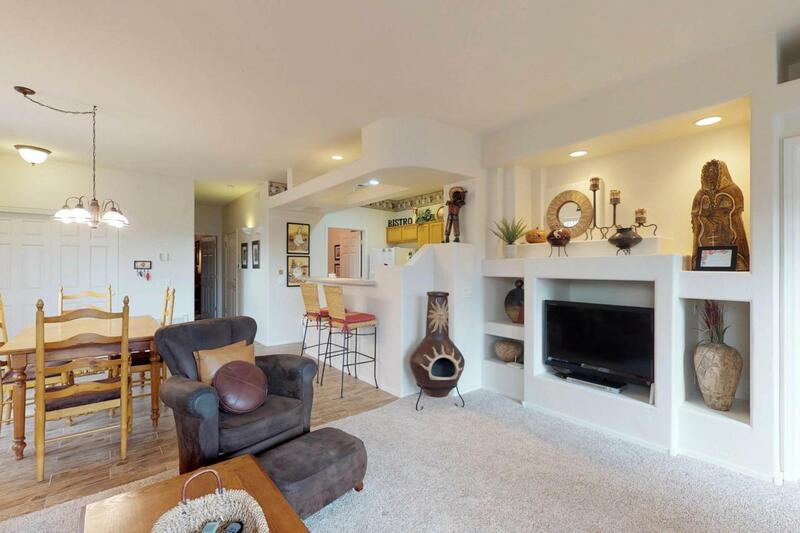 What you see is what you get (turnkey) when you purchase this beautiful first floor condo with new wood plank style tile and new carpet in the bedrooms and great room. One car ATTACHED GARAGE with easy access to condo. Separate laundry room. TWO Master suites with bath tub and double vanity. Resort style, year round living at its finest. Perfect for a vacation rental or seasonal residence! 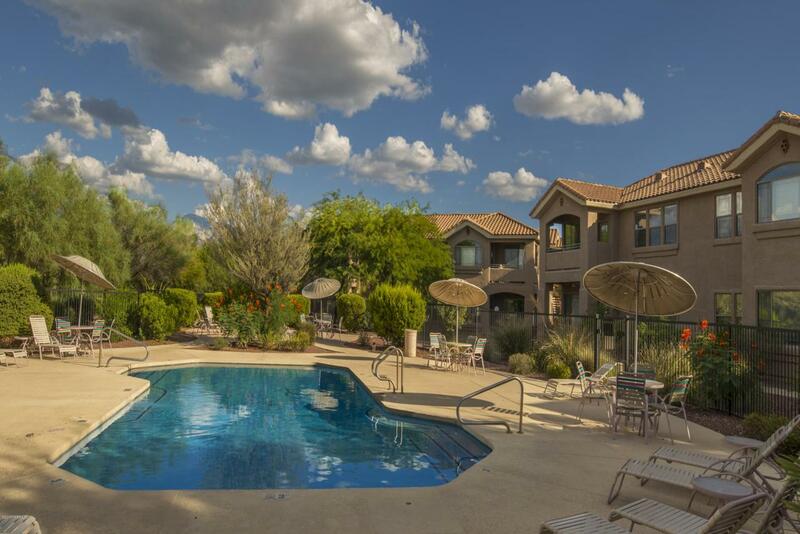 HOA fees include water, individual trash and recycling cans, basic Comcast cable channel package, termite monitoring, exterior pest control, roofs, exterior paint, heated pool all year, fitness room, community grill and community wide maintenance and landscaping. 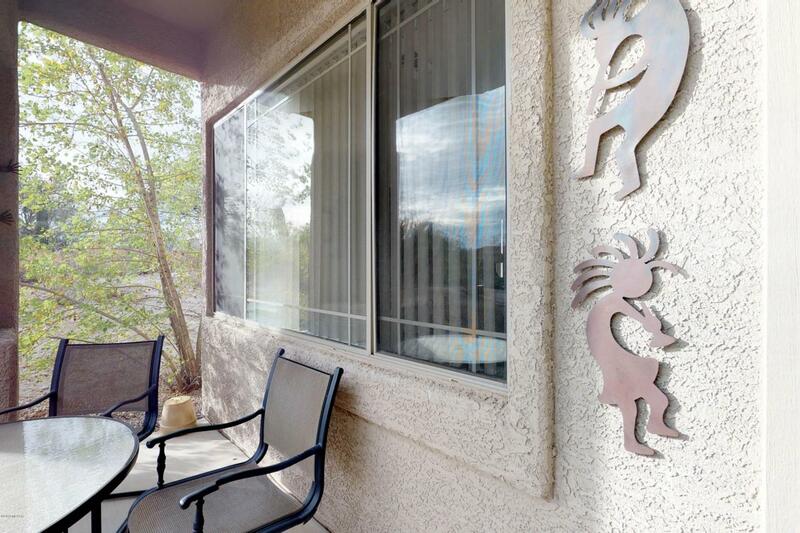 Listing provided courtesy of Vacasa Arizona. Listing information © 2019 MLS of Southern Arizona.